Although many people will be familiar with an Americanised version of Halloween (which came from the ancient Celtic pagan festival of ‘Samhain’ introduced to America by Irish immigrants in the 1840s) many different countries and regions around the world have very similar traditional festivals which share certain commonalities with the commercialised version prevalent in widespread American & western pop-culture depictions; most notably origins in warding off evil spirits, the safe passage of souls from the living realm to that of the dead, and / or protecting crops following the end of the harvest. 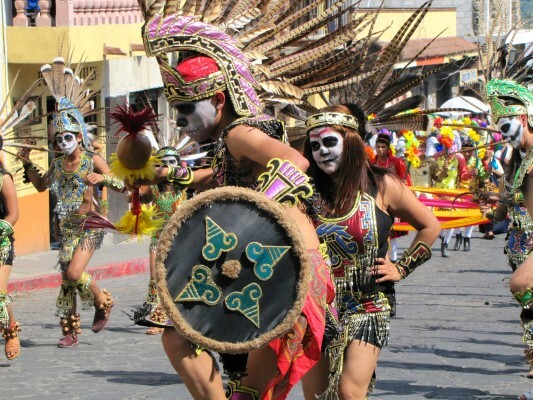 Many also share the tradition of wearing costumes, something which goes all the back to the original Celtic Halloween when people donned disguises in an effort to evade the spirits of the dead who returned for the night. In Mexico, and indeed in many Latin-American & Hispanic countries, El Día de los Muertos, or Day of the Dead, is a time when families remember deceased loved-ones by building a temporary alter or shrine to them in their homes, adorned with colourful decorations, images & effigies, flowers, water, food, and candy. 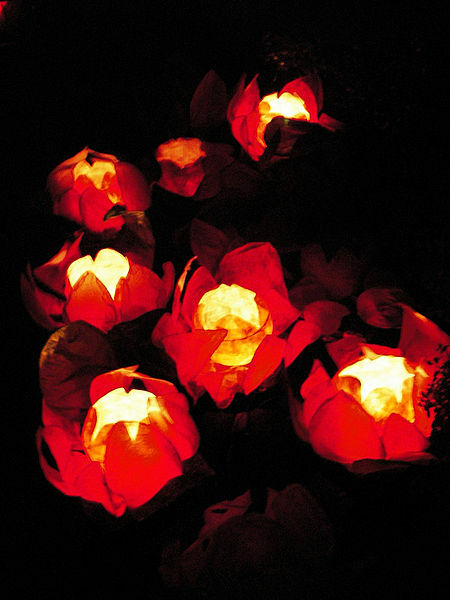 They also decorate graves and cemeteries in a similar fashion. Villages and towns host parades featuring (living) people in coffins carried by would-be pallbearers, while people of all ages dress up in outfits, painting their faces to depict skeletal skulls, and women tend to dress as La Calavera Catrina, a skeleton character associated with elaborate and often flamboyant hats. While it’s perhaps verging on weird, and certainly morbid, it is also quiet a colourful and vibrant holiday here – a celebration of both life and death, conflicting in terms of subject and atmosphere – it can sometimes be unclear if there’s a sense of happiness and vibrancy tinged with sadness, or a sense of sorrow coloured with a hint of joy. 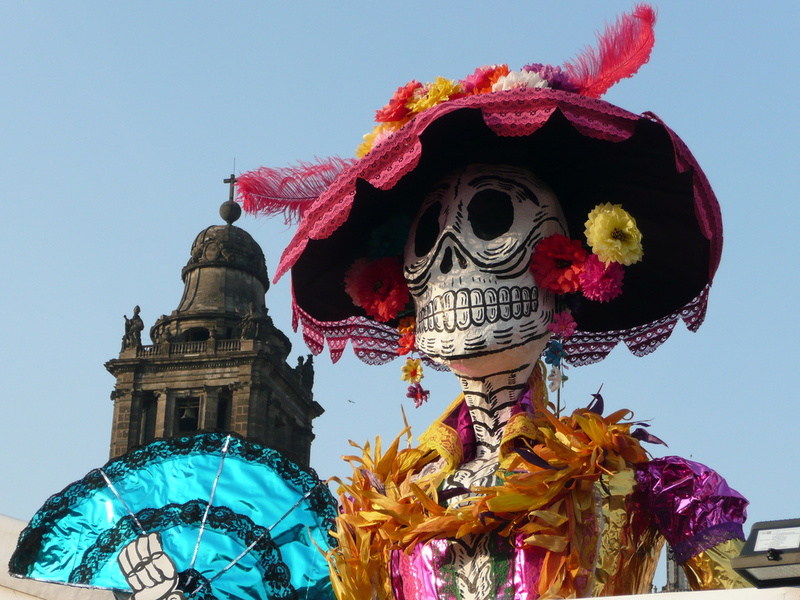 In either case, around this time of year is a really interesting and wonderful time to be in Mexico. 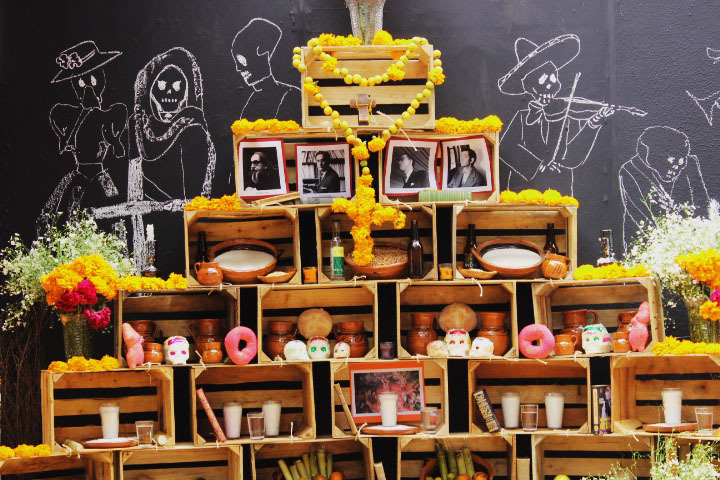 Similar to Mexico’s day of the dead, China celebrates Teng Chieh, also known as Zhongyuan Festival or The Festival of the Hungry Ghosts, and people leave food and water in front of photographs of passed loved-ones, as well as lighting lanterns to help guide a path for their spirits. In fact, this is part of Ghost month, an entire month dedicated to dead ancestors, who are likely hungry having been wandering the land of the living during the month, and which involves a number of festivals and rituals, including preparing feasts and burning fake money. Our corresponding Halloween weekend does see some of the more familiar Halloween antics in the big cities in China, such as Beijing , Hong Kong, and Shanghai, where parties, games, and fancy dress are common place and bars and clubs make an effort to decorate and create a Halloween atmosphere. Any excuse to have the craic, Ireland is a great place to be for Halloween. Not only does Halloween have ancient roots here, it is still an absolute favourite holiday for those young at heart. The ‘day’ has morphed into a multi-day festival, and Halloween parades are now commonplace in big towns and cities around the country while shops and pubs and clubs are adorned with appropriately ghoulish decorations. 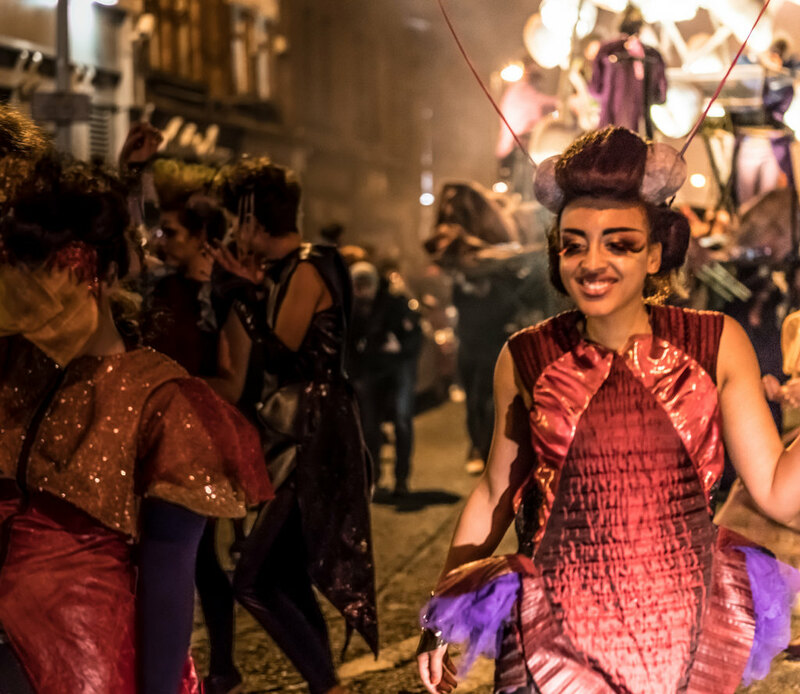 Parties, bonfires, illegally acquired fireworks, scary movie ‘horrorthons’, pumpkin (or turnip) carving, and, of course, fancy dress - the costume game can be strong in Ireland, are staples of Irish Halloween and makes for nights out which can be even more fun than usual. 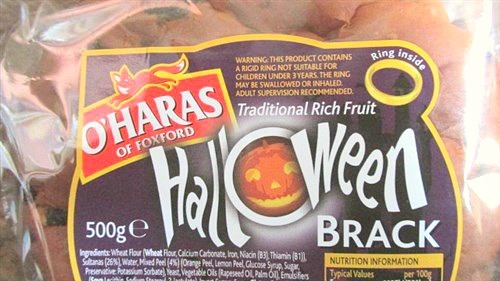 There are still some unique, old, and odd Halloween traditions about in Ireland too though – such as barmbrack; a fruitcake within which were baked a number of inedible choking hazards intended to tell one’s fortune. If you found one in your slice your destiny was foretold – a pea meant you would not find love that year, a piece of cloth meant you’d be poor, a coin meant good fortune coming, and a ring meant you would soon be married. For obvious reasons, you don’t find such bracks on supermarket shelves these days, although you can purchase them with just the ring inside. 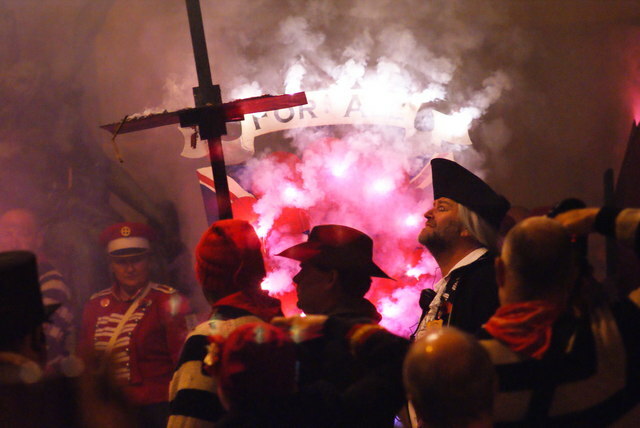 England traditionally didn’t embrace Halloween, having 400 or so years ago replaced the pagan festival with one which takes place on November 5th in honour of one Guy Fawkes, an English Catholic who was part of the failed Gunpowder Plot of 1605 which was an attempt to assassinate the protestant King. 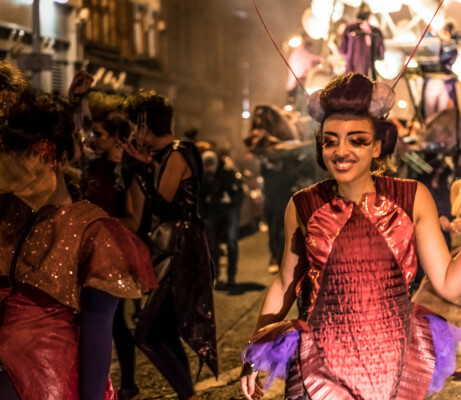 Rather aptly, bonfires are central to Guy Fawkes night, however the UK has taken to Halloween in recent times and now the 31st is widely celebrated along the same lines as in America or Ireland with costume parties and trick or treating prevalent. Great Britain does also harbour some strange fortune-telling traditions from around this time of year too – such as peering into a mirror in a dark room until you see either a face or a skull lurking behind your shoulder. The person would resemble your future spouse, while a skull meant you’d die without ever being married. While in parts of Scotland, casting a long strip of apple peel behind your back would land in the shape of the first letter of the name of your future husband or wife. An entire district of the capital, Seoul, pedestrianizes the streets and closes to traffic to make way for a massive Halloween party with live music, fancy-dress, games, food, and drink. And, why the hell not?! In Austria you leave out food and water, and leave the light on throughout the night, for the entire week around Halloween in order to welcome wandering souls. In the Czech Republic, on their Day of the Dead, or Dušičky, families place chairs around the fireplace for the spirits of each deceased family member. While in Germany, you hide all your knives on Halloween night – a bit bizarre, yes, but then again most of what’s written here is pretty odd, in fairness. Well, that’s about it guys and gals, a little insight to how Halloween goes down in different parts of this wonderfully weird world. Wherever you are though, if you’re staying in a hostel, you’ll be surrounded by enough people from different cultures that having fun this Halloween will be highly likely, and in most places there are Halloween events & parties taking place, ask the reception staff for the inside scoop, or there may even be a Halloween party planned at your hostel – and if not, why not make it happen? Oh, and don’t worry if you haven’t thought about a costume yet, we’ve got ya covered with these handy Halloween costume ideas for backpackers. Where and how are you celebrating this Halloween? Tell us in the comments. Happy Halloween from the HostelCulture crew. Written by Ray while listening to The Cramps' Teenage Werewolf, the Monster Mash, and Lankum's new album between the earth & sky...which is crackin' by the way!